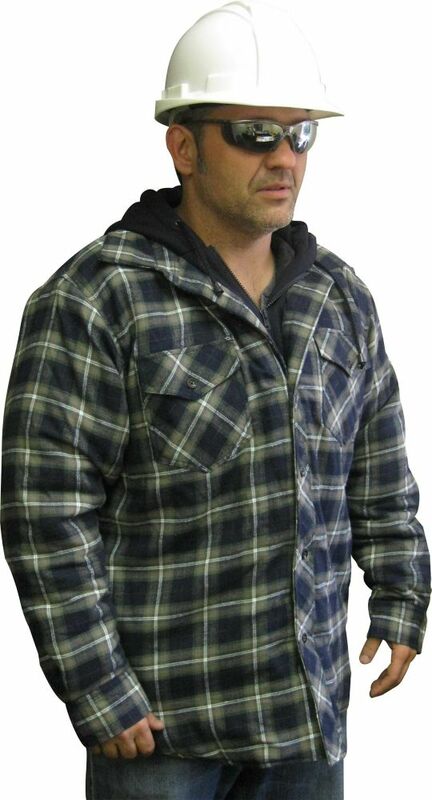 Hooded Quilted Plaid Shirt Xlarge The Storm Fighter hooded quilted flannel shirt is a great layering piece during brisk spring or fall days. This quilted flannel shirt will keep you warm during your project on it's own or as a layering piece. Includes a snap front closure, two chest pockets, and snap closure sleeve cuffs.